The hotel was affordable. The staff were very informative and extremely polite. The rooms were a perfect size and provided everything we needed. Beautiful hotel right on the beach with amazing views and sunset. Room is first class with great kitchen, table and chairs and comfortable bed. Staff is very friendly and helpful and speak good English. Great value for money. The staff was friendly and accomodating. 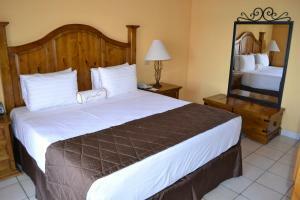 The rooms were very clean & beds were very comfortable with extra pillows. The facility was very clean Service was excelent!!!! 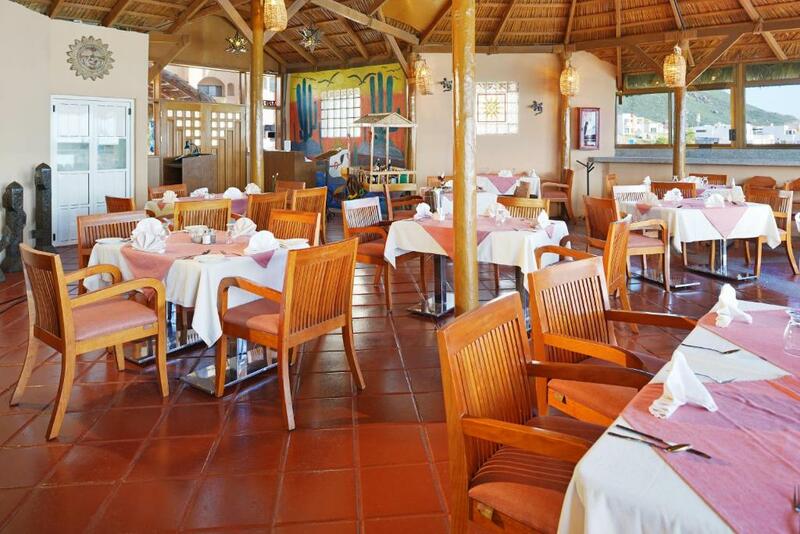 The check in staff was very helpful and directed us to a great beach restaurant nearby. The rooms were big and had a full size refrigerator, the pool was large and well attended and parking was safe. It would be ideal for families because the rooms had a kitchen and there was also an outdoor bbq. 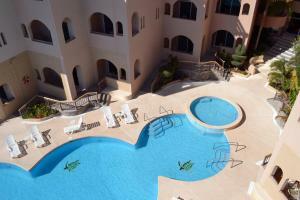 Lock in a great price for Sea of Cortez Beach Club By Diamond Resorts – rated 9.1 by recent guests! Sea of Cortez Beach Club By Diamond Resorts This rating is a reflection of how the property compares to the industry standard when it comes to price, facilities and services available. It's based on a self-evaluation by the property. Use this rating to help choose your stay! 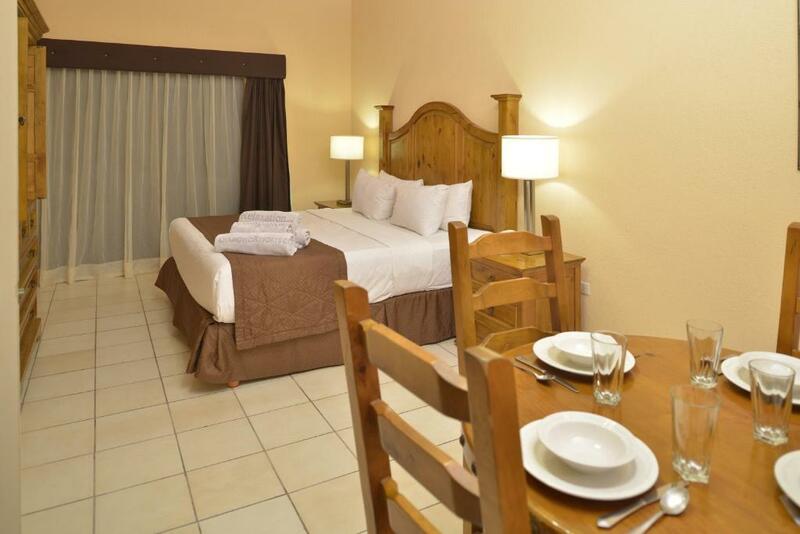 Sea of Cortez Beach Club suites are spacious and the kitchenettes include a microwave and refrigerator. 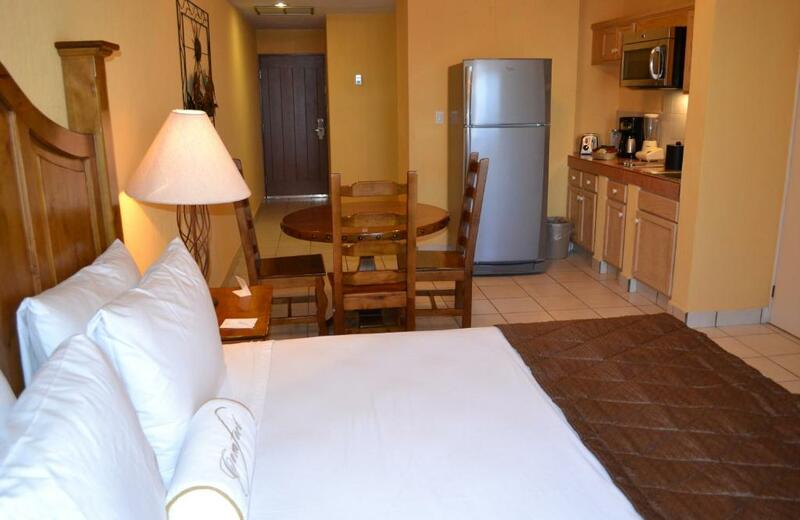 Suites are equipped with wired internet and cable TV. Guests at the Sea of Cortez dine at the poolside La Palapa Bar. After a snack guests can explore the surrounding area on horseback or rent deep sea fishing equipment. The resort has a children’s playground and pool. Guests can also arrange a Whale Watching trip with the resort. This property is also rated for the best value in San Carlos! Guests are getting more for their money when compared to other properties in this city. When would you like to stay at Sea of Cortez Beach Club By Diamond Resorts? This spacious suite has a living room. This air-conditioned studio features a queen bed, cable TV and a private balcony with great views. There is a kitchenette with a microwave and fridge, and the bathroom includes a hairdryer. If you are looking for the ultimate in relaxing vacations, and a place that the whole family can enjoy, you will find it at the Sea of Cortez Beach Club in San Carlos, Mexico. Here you will be able to stroll along the sandy beaches while the kids swim and enjoy the crystal blue waters of the Sea of Cortez along the Baja coast. The Sea of Cortez Beach Club is an oceanfront resort that offers guests suites with private balconies or patios. You can find plenty to see and do, both at the resort and in the surrounding area. House Rules Sea of Cortez Beach Club By Diamond Resorts takes special requests – add in the next step! A MXN1855.19 damage deposit is required 0 days before arrival (about USD97.66). This deposit will be fully refunded 0 days after check-out, as long as there isn't any damage to the property. Sea of Cortez Beach Club By Diamond Resorts accepts these cards and reserves the right to temporarily hold an amount prior to arrival. For security purposes, the credit card used to secure your reservation and a photo ID must be presented at check-in. All special requests are subject to availability upon check-in. Special requests cannot be guaranteed and may incur additional charges. A security deposit of USD 100 is required upon arrival for incidentals. This amount will be collected in Mexican Pesos upon check-in. This deposit is fully refundable upon check-out and subject to a damage inspection of the accommodations. Please note that the resort does not offer daily maid service. For weekly stays the resort will provide one midweek cleaning. Please note this resort is nonsmoking. Please be advised that the La Palapa Restaurant and Bar at the Sea of Cortez Beach Club is closed until further notice. As a result the resort does not currently offer food and beverage services. All guest suites and studios include a kitchenette with a two burner stove top range, microwave, refrigerator, freezer, coffee maker, kitchen utensils, small wares, china, glass and silverware. There is a beachside gas and charcoal grill area with adjacent picnic tables for guest use. A damage deposit of MXN 1855.19 is required. You should be reimbursed on check-out. At the time of my stay, the restaurant on-site was being rebuilt after a fire. Supposed to be reopened in May/2019. So, no food, no bar presently. Nice place, not too big, nice pool, great view. The entrance to the beach was closed. It would have been nice to have a place there to order drinks and food. They were rebuilding the restaurant during our stay, so this is easily fixable. No bar/restaurant on site but knew that before we booked so all good. Staff were very friendly and helpful. Bed was very comfy. Comfortable bed, spacious well equipped room, and a great view from the balcony! Beach was a slagheap restaurant was being rebuilt so the only place to eat was a resort 400 meters next door. Nothing really in walking distance. The central light was too bright and would prefer more task lighting over table and kitchen area. We were disappointed in the loss by fire of the night restraurant & bar. But we found other places nearby that were some of the best food! I love this place (second time to stay here when driving between Tucson and Mazatlan). No complaints! There was no breakfast (as the hotel's restaurant had burned down last year), but each room is an apartment with a coffee maker and well-stocked kitchen area. There is a wonderful modern market nearby, so no problem to stock up and make your own breakfast and snacks. Bed was fantastic. View from balcony superb, size was huge. Jacuzzi could have. Been hotter. Beautiful ! The staff was amazing .